For some people, just hearing the words ‘Bay of Biscay’ is enough to make them tremble and beg God for forgiveness and protection, but the bay is not all bad! 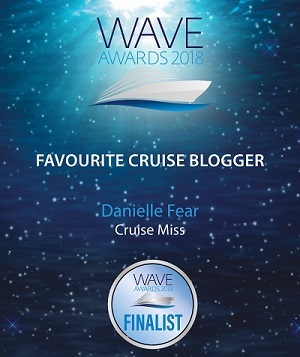 My blog today is for EVERY SINGLE PERSON out there that is slowly beginning to panic about their Bay of Biscay encounter and especially for those that are even considering changing their cruise booking because of it. Don’t panic, don’t over react, just read the following and calm down. 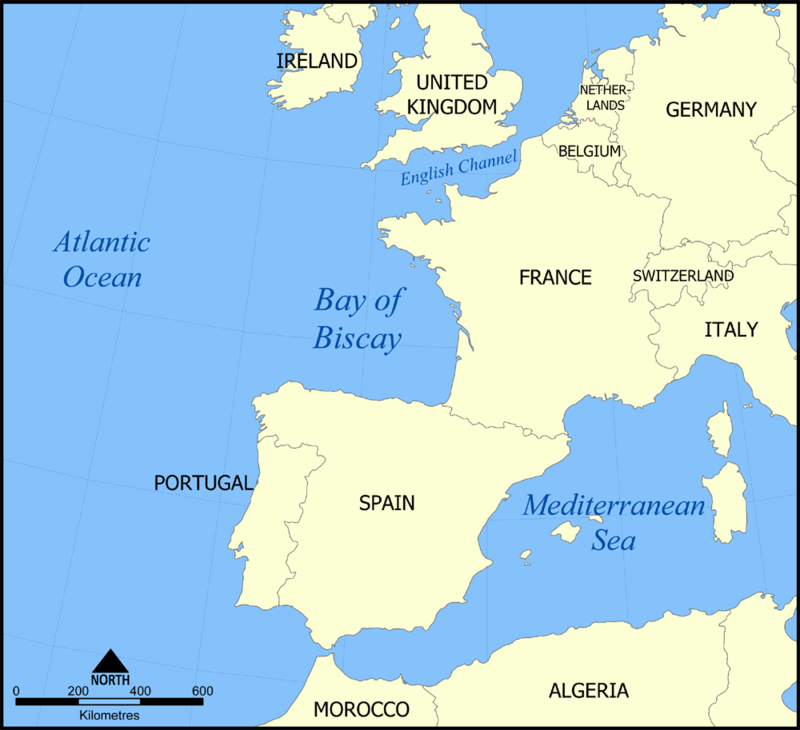 Let’s talk about the Bay of Biscay and get a few things straight! Yes, the Bay of Biscay has a terrible reputation and it is not without reason. Parts of the continental shelf extend far into the bay, resulting in fairly shallow waters in many areas and thus the rough seas for which the region is known. The Bay of Biscay is home to some of the Atlantic Ocean’s fiercest weather and large storms often occur in the bay – but NOT ALL OF THE TIME. 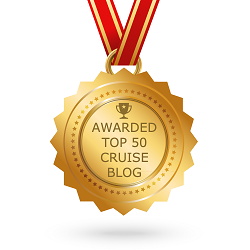 I have crossed the Bay of Biscay almost 30-times since I started cruising (I have another 4 crossings to come in 2014) and I have experienced it all! Force 12 gales, flat calm seas, blistering hot sunshine, thunder and lightning, snow, hail stones and torrential rain – you name it, I have sailed through it in the Bay and I still continue to do so. I can appreciate that people worry about it, after all there are some horror stories out there, but you must always remember that if the Captain thought for one second that conditions were unsafe, he would not sail his ship, passengers and crew through it. Simple as that! The most common thing that people ask is what they can expect from the Bay and at specific times of the year. I will always tell you the same thing – Mother Nature is Mother Nature and you can NEVER tell what the Bay of Biscay will be like at any time of the year. Granted, the bay does experience more storms during the winter months, but I have sailed in all 4 seasons and experienced it all within those 4 seasons – you just don’t know what it is going to be like. One voyage took me through the Bay in April of 2012 and I have to admit it was the worst crossing I have ever experienced (note that it was not winter!). The ship was rocking and rolling non-stop for almost 24-hours. The lifts were in very limited supply (in short we were told not to use them), food was only available from certain restaurants as the crew physically couldn’t serve and there was no entertainment. I absolutely love the rough weather, I really do, so I was in my element, but other passengers were not quite as excited as I was and if I am honest I rarely seen another soul for several hours. Our Captain, however, was fantastic and he kept us all updated every few hours and re-assured us all that although the conditions were rough, the ship was under control and it was perfectly safe. It was a bad crossing, but we got through it and coming back we had perfect conditions, barely even a cloud in the sky. 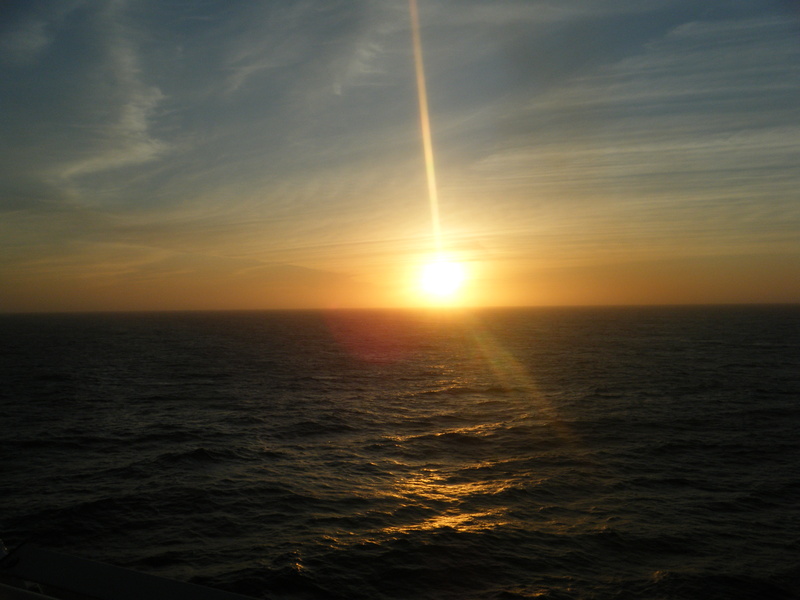 During one Eastern Mediterranean cruise I sailed the Biscay in November and conditions were quite literally flat calm. There was barely even a ripple on the surface of the water, the air temperature was warm enough to enjoy the open decks and everyone onboard was perfectly content. It was almost like a spring day in the middle of a winter’s ocean, it was beautiful and there was no movement at all. The above just goes to show that you never know what the sea conditions will be like. I have had rough weather in July and calm weather in November. Moderate weather in September and severe storms in April – Mother Nature controls it all, we just have to go with it. Let me give you some honest advice. Buy some seasickness pills and forget about it, just look forward to your cruise. 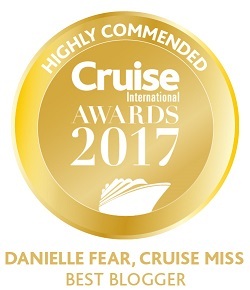 Don’t start stressing yourself out to the point where you are considering changing your voyage or cancelling your cruise altogether. For every 1 bad crossing that I have experienced, I have had 4 good ones. Even in what they would call ‘moderate’ sea conditions you barely feel any movement because the ship is well stabilised. It really does have to be fierce outside for it to have a big effect on the ships movement and to the point where it would cause you severe discomfort. Travel Tip For Those Who Need To Cruise And Work: Travel unrestricted and unlimited without any worries with two supreme remote working technologies to access your online private work space remotely from anywhere – Cloud hosted citrix vdi and Hosted SharePoint Services from CloudDesktopOnline.com. Learn more about hosted SharePoint, Exchange, MS Project Server, Dynamics CRM and managed azure services by visiting Apps4Rent.com. Thanks Danielle for taking the time to put this blog on. I’m cruising for the first time this year and heard that the bay is notoriously bad. I’m not a great traveler so not really looking forward to it, but reading what you have to say has helped. Thank you for your knowledge and experience of this stretch of sea. It has put my mind at rest. Thanks Danielle very reassuring . I am travelling up to Vigovand Lisbon in May. And have just been wound up by friends regarding BOB. My boyfriend’s vessel will be crossing the bay soon and the weather is already bad. I was very worried till I saw this. I feel better now.. I am booking a cruise for October on the azura, and our first port of call is Vigo. I was wondering if the ship would pass through the bay on it’s way? I’m rather hoping we don’t as would be terrified, as it is our first cruise. hi! i’ve been on that exact cruise, just at a different time of the year. Yes, you do pass through the bay of biscay if you are departing from southampton. Is it worse on a ferry than cruise ship? I don’t think it makes much difference to be honest. I wouldn’t worry about it, you will probably get out there and it will be flat calm! Thank you so much for your comments, want to go to Mojacar with a van and the Bay of BIscay fills me full of horror but your sensible and well thought out blog has put my mind at rest. Very best wishes Georgi. I am glad it helped 🙂 Have a great trip! 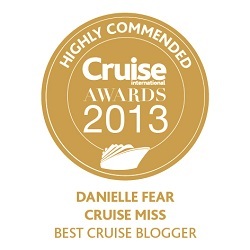 Thank you Danielle, had a few rough ones on the Biscay with P&O. Worst trip on Oceana for a Christmas cruise. She limped into Madeira battered and bruised with water ingress and electrical problems, generators were spluttering. I remember several had broken limbs, some flew home rather than do the return trip through the Bay! There was a couple of days when not many people were around the ship. But my wife and I are still cruising. i went throw bay biscay on the bilbao ferry many years ago in 100 mph winds plus back to portsmouth when a goods boat broke in half that was the crossing of my life we was 24 hours late in portsmouth thats the power of the sea rob. 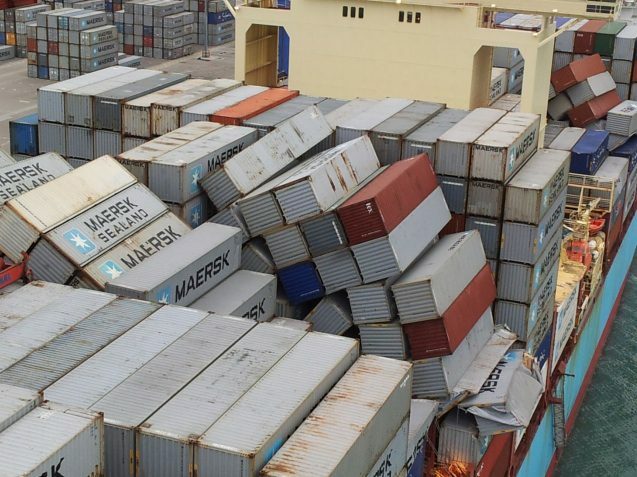 An accident report into the loss of 517 containers from the 8,160-teu boxship Svendborg Maersk (built 1998) found the vessel went into a “violent” 41° list and may have suffered parametric rolling in severe storms in the Bay of Biscay. The situation was so bad at one point that the master sounded the ship’s alarm. According to the report by the Danish Maritime Accident Investigation Board (DMAIB), the master of the Svendborg Maersk was not aware of the severity of weather he was sailing into as the ship left Rotterdam in the Netherlands for Suez in Egypt on 13 February. Especially when you consider that the vast majority of cruise ships just skirt round the edge of the bay, crossing between the bit of France that sticks out and the top left bit of Spain in a, more or less, straight line… We have crossed the BOB 4 times in the last 10 months and I can easily say that the roughest weather we have seen was in the Med.